The Mammut Extreme Jannu winter jacket’s extremely waterproof and extremely breathable Schoeller C Change fabric breathes better in warmer weather and retains heat better in cooler temps: two Napoleon chest pockets; long side/pit vents; excellent hood movement and fit. But 998g (size L) is heavy; extremely pricy; dedicated Alpinist‘s jacket, not winter walkers’ jacket; soft hood peak; pockets no use as hand-warmers. 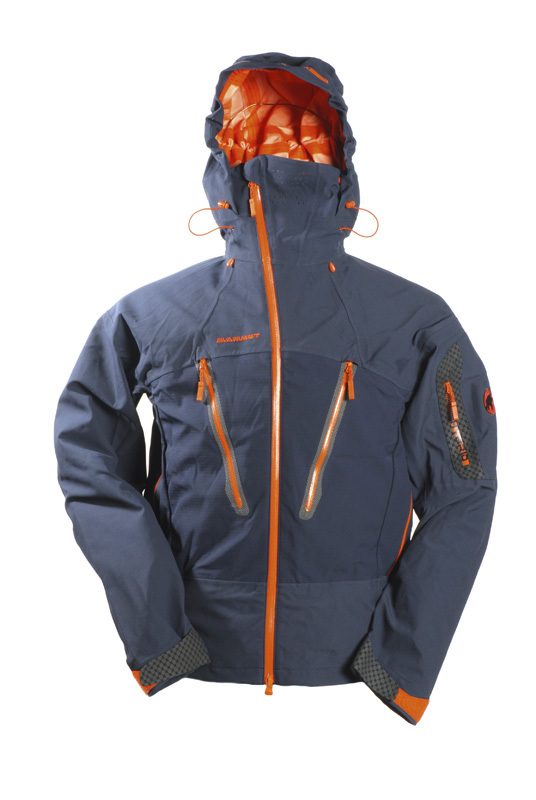 Verdict: The Mammut Extreme Jannu winter jacket is incredibly functional, but it’s pricy and specialised.